Use to solubilize fragrance oil into water based products. Final product will stay clear. To solubilize fragrance oil into water based products. Final product is stays clear. Fragrance Oil modifier is a proprietary emulsifying agent that allows oil to dissolve with water. When used correctly, your end product will remain 100% clear. I've always had great results with this product. I've tried using Poly 80 & Poly 20. But they come no where near comparable to this product. This is now the only product I will use for my body sprays, room sprays, perfumes, and linen sprays. 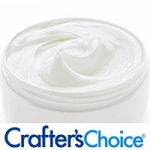 Great product Crafter's Choice! This is a miracle product, it saved my life and tons of time a product redos. Thank you. I got this as part of the Pomegranate Geranium Foaming Face Cleanser Kit. It worked great and got the job done. Yet another product I knew nothing about. This is so cool. My body sprays stay clear, I think that's important- sometimes you don't know if a color will stain or not, which can lead to unhappy customers. It also really helps with the body sprays with glitter, it catches the eye! This is exactly what I needed to make perfume sprays and aftershave, I will definitely order again! It's so much easier than trying to mix my own, the finished product is clear and odorless! Love this Product, Cleared up all the cloudiness in my body sprays. Great Product. Glad that I bought this modifier I could really tell the difference when trying to make my shower gel. I will definitely keep this on hand from now on. Great product. I wish I had known about this a year ago. Does exactly as stated - makes oil & water mix! This works perfectly. No more separating or cloudy products and no need to tell customers to shake room sprays. FO & EO Modifier really does a great job. I used this to fix my separation issues in several products. In clear body wash/gels this works awesome. Make sure when adding to primarily water filled sources such as hand foaming soap, hair/body sprays the water is room temperature or even warm. Works as expected and easy to use. I find it best to mix with your choice of scent and let it set for a day or two before use to allow the scent to infuse with the modifier. I mix up large batches of "modified" scents and have them ready for use. 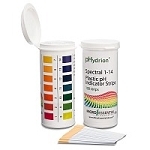 This product works so well, and it doesn't require much to stay very clear. I made oatmeal stout shower gel and used 2 parts modifier to 1 part fragrance oil (1/4 tsp for 4 oz) and it didn't make the gel watery. Fantastic for incorporating scents into water based products. I had made a foaming hand soap in the past and without this, no matter how much scent I used, it was barely noticeable. This works well IF you follow directions. It binds the oils very well to the water-based liquid you are trying to incorporate your oil into. I LOVE it for homemade Poo-Pouri, body sprays, and room sprays. Got these to make some body spray's for daughter and her friends. Very easy to use and mix, holds scent great and they love it! Received this as part of a foaming soap kit. Works well and I will be using it to modify the recipe to incorporate my own scents! My foaming soaps are always a good seller this time of year! Great for essential oils but separated the color in my body spray. The suggestion is to advise customers to shake well but who wants to sell a product with the color settled at the bottom? Used this with one of my scents several days ago! First time using it, I added it to my scent, it immediately turned my scent white, being upset, I then realized, it must in order to keep my scent from duscorolation if soap! I'm like it thus far! Perfect in my body sprays! Easy to use!! It works great. My first batch of body sprays were all cloudy I used this and it worked perfectly. Clear body sprays I could even use colors if I wanted to with this. I was so happy to see this before I started making shower gels. No one wants a cloudy shower gel. Using this, all my shower gels are crystal clear. Thanks! This works great to keep your body sprays from turning white! Keeps the liquid nice and clear! Used this to add scent to pet spritz. Blends perfectly. Love this! It even worked on some of the linen/room sprays that I had already made! I love how this keeps my products mixed together. I use it in body wash and spray and it didn't separate. Great for what it does! It keeps the essential oils and/or fragrance from separating! You have to use a lot tho - 4:1. So account for that when buying because I didn't. I have made body mists using other suppliers bases and once I added the fragrance it just floated at the top. I saw this and purchased it, it creates a beautiful product every time!! I will never purchase from another. Thank You Wholesalesuppliesplus!! Great product! Works perfectly! I use it with Crafter's Choice's Luxury Moisturizing Mist II and I love it. will definitely order more. I used this product as directed and found that there were stringy looking things in the liquid after mixing with an oil. I tried three different fragrance oils. All the same result. Maybe I needed to do something differently? This is a must for all my products! I was skeptical about this but it works wonderfully well with my cremes. I'll be using this in all my products to even out the smells of the EO's and FO's. Another great product from Crafter's Choice. Great product! Works really well. I will be ordering it again! Excellent product highly recommend I use this with one of your recipe and worked wonderful will repurchase more. We use this for our body spray & showe gel. This immediately makes the product clear removing any milky coloration. This is a must have for our line. Used this in my fragrance/body sprays. It works beautifully. This products works wonders for helping sprays remain clear. Produced perfectly clear shower gel. Love it! seems to keep the soap clear and disperse the fragrance oils just fine,. I used this in my room sprays and it made the process easy. This just allows you to blend a liquid with a powder or oil, and does so beautifully without the separation or lumps that you would normally get when blending, which often times ruins a batch or makes the blending impossible! What a great product! It works like a dream. If you make shower gel or anything that's clear you need this product. My product is no longer cloudy and looks very professional after adding this to my FO. Say YES to this product for a professional finish clear shower product. Before using this, our coloring and fragrance was separating from our liquid soap. No more problem! I wasted a lot of time and bases with oils that didn't blend before bringing this into the fold. Now it's smooth sailing! It does what it's supposed to! The product stays clear with most oils but I have had it turn cloudy with a few fragrance oils. Cloudiness is not a major concern for me, but may be for someone else. Body spray stays "mixed" and crystal clear. Very Effective. I used this in my shower gel it worked great. I use it to solubilize fragrance oil into my water based products. My final products stays clear which is a plus when I am using clear bottles. I used for making a body spray with essential oils and really gives a clear aspect in the final product. It's miracle solution. I've had this stuff for a couple of months and just got around to using it. I wasn't too sure of how it would work based on the reviews and guess I was delaying any disappointment. Now my only regret was going so long before trying it. I love this stuff! I just blended a FO which came out great and maintained it's strength 100%. Very impressive. I then mixed a batch of fragrance and almost cursed when it came out almost milky white. After going back to the instructions and realizing that water based products need 1% modifier, I added more modifier and the batch turned clear like magic! Love, love, love this stuff! I use this modifier in my handmade liquid soap and am able to offer SO MANY more scents. Its easy to use and after incorporating into the batch (at room temp) and letting sit for a few hours my scented soap turns out crystal clear. Plus I love the label appeal - no more added ingredients. 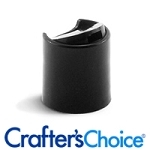 Thanks Crafter's Choice for another great product! This is an excellent product. I use it in my homemade bug spray, and it works clean and clear. The fragrances blend beautifully with the base I make. Thank you. Used these with room sprays and there wasn't any cloudiness and works very well mixing everything nicely. Omg! Love this stuff! No more worries of my sprays separating! 2 thumbs up! I love how this helps everything blend together. You don't have to remember to shake the product. You can just use it! I've been using it, so I will definitely be buying more. Very versatile. I use this in my room & linen sprays and it works as a great emulsifier. It blends the essential oils really well and does not interfere with the scents. Great product. Best product ever saved my soap many times over. No more murkiness! All this modifier has managed to do is give the cloudiness some weight so it all sinks to the bottom or floats to the top as one disgusting sediment mass. I've used as directed, used more, used less, used in aloe liquid, used in cyclomethicone, tried everything, it hasn't worked once. I can't say enough about this product, it helps everything I make that is water-based look very professional. I don't have to worry about oil floating to the top of my bottles of room spray or body mist etc. It also works great in body wash and shampoo. Works well when used with products that need it. Really works to extend oils! I was skeptical about using this product. I was pleasantly surprised that it did work to extend both fragrance oils and essential oils. I will be back for more! I tried a small amount, love it and ordered more. It works great for room sprays and colognes. I like to use EOs in my shower gel. This modifier helps the oil combine with the water based gel. Great Stuff! Great product to make Frangrance blend well! 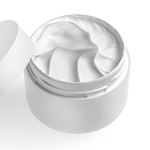 Great for adding to butters to improve the stability of the fragrance. Makes them last! This is such a useful product! I recommend anyone wanting to make a fragranced oil should get this. This product did exactly what it said it would do. Was easy to use once I followed the directions on the website & completely eliminated the clouding I'd previously had in my attempts at a body spray. This really helps keep fragrance from settling to the bottom. Must keep on hand!! A must if using any FO in a water based product, let sit once mixed for 5min and then add to base, measure very carefully! At first, this was a little difficult for me to figure out. Once I got the hang of it, I worked just fine! Works beautifully. Now that I've tried this, it will be a staple in my ingredient cart. No more P20 for me. This really helps keep fragrance from settling to the bottom. Must keep on hand. Finally... my sprays are clear! I have been getting by with milky white body sprays - finally I have clear! You just need a little bit and it does the trick every time! I didn't realize what a difference this made in body sprays. Keeps things mixed and mostly clear for some fragrances. It's better than having to put "shake before use" on the bottle! I use this when making perfume and body splashes! I use this in my body sprays and it makes the body spray and the fragrance blend so nicely. I would defiantly order again and again. I have repeatedly tested the principle that water and oil don't mix. Okay I get it. I have had separation issues with shampoos and shower gels but no more with this modifier. I made new batches yesterday using this modifier per instructions. It's a little early to tell but I am confident no more worries with separation of water and oil components. I will NOT be without this any longer. This is something every serious bath product maker must have. I use this in all my water based products. Really works great. Prevents the separation of the fragrance oils and distilled water. This is so easy to use and really gives my fragrances staying power in my body splashes. I use this product to incorporate my fragrance oil into my foaming soap base. The foaming soap base is a water based product so you need to mix the FO modifier with your FO first. Does a great job and makes whipping up a batch of foaming soap a breeze. I have never had any trouble with separation. I used this in making foamy soap. It's awesome!!!! The end product is a soap that is perfectly integrated with any fragrance of your choice. My choice was flower bom by victor and Rolf, haha!!! It made a beautiful foamy soap wi hardly having to use up my designer fragrance oil!!! I bought the beautiful pumps and bottles from here (clear) and will be making my mommy friends happy come mothers day with this inexpensive and creative gift that can't be beat!!!! Btw, I mixed some dendritic salt to the victor and Rolf flower bomb scent, and then Epsom salt and added apricot kernel oil and some coconut oil to make a salt scrub, wow people, just WOW!!!!! The FO and EO modifier works great, and does exactly what it says it'll do. Works perfectly , makes a clear solution every time. We mix it 1:1 . Some EOs have pretty specific "color" to them which you don't necessarily want in a finished product. Because of this modifier I'm able to use my EOs and have crystal clear product! Love this for sprays, shower gels, and bubble bath. Works perfectly and everything is clear. helps blend oil and water. Does exactly what it says it does. I dont have to shake my body mists when I use this! Don't know what I did without this for so long! Works great for making room and body sprays. LOL... I have to say.. OMG THANK GOD for The Question/Answer section done by other shoppers! I have had this product for quite some time. Not ONCE has my sprays become clear. So as I was reading the reviews, I thought maybe they sent me the wrong stuff.. So I popped over to the questions & Read what a previous shopper wrote... I immediately Jumped out of bed & added a little MORE solution to a bottle of spray a Viola... Clear beautiful spray! Whoo Hoo ! ( yes, Im thrilled about this! ) I guess Ill be ordering this stuff by the gallons now! Thanks for having a question /answer section as that REALLY does come in hand! Works great in our water based products that we add essential oils to. Removes the color and prevents the ingredients from separating. Highly recommended! This is the best modifier out on the market! I would not make my sprays without it. I have been making room and linen sprays for 20 years and when I found Crafter's Choice's, the quality of them improved significantly. My family thanks you! I love this product. It makes all my Water Based FO & EO blends, like splash, shampoo etc go into solution perfectly and clearly. I just cannot live without it. The fact that it isn't fragranced makes for non interrupted scent throw in all the products I use it in. We used this to make Bubble Gum scented Bubble Bath for our daughter and it was a total hit. Bath time was no longer a fight and the house smelled like Bubble Gum all night long. It was an easy mix for a novice user since my husband and I buy these products for our own personal use rather than for selling to the public. The instructions are simple and straight forward, pretty much idiot proof. Can't beat the price and it really does NOT change the color. Works GREAT in the Crafters Choice Bubble Bath - Clear. A little goes a long way too. Just enough to scent the bubble bath, doesn't dilute it, doesn't affect the bubbles any and works just as well as any of the other reviews says it does. Tried using it in lotion as well, but did not seem to really make much of a difference in lotion with the FO. Also plan to use in combination with Crafters Choice Multi-Spray Concentrate as well to make our own air fresheners as well. A good alternative for someone who has issues with migraines (someone such as myself) and can not handle most commercial based air fresheners. Will be leaving a review on the Multi-Spray Concentrate once I do try it with it as to how well it works with it. I have been making an all in one room spray/slash/body spray/slash/linen spray no matter which fragrance I use it turns out this creamy color.....it would be ok for metallalic containers, but not for my clear bottles.itjust does not look healthy. I make a lot of them I love the way they smell. when I added the fo modifier it was so cool to watch it turn clear! it worked wonders. I love the visual part of it working. love it! We always add the EO/FO Modifier to our liquid wash to keep the product from clouding. The end result is a professional look for an awesome product. The foaming hand wash base is a customer favorite and has been declared, "The BEST foaming soap I've ever used!". We've put off formulating our own product because this one is so good. Offer refill sizes and your customers will LOVE you. I use this for my room/linen sprays and body sprays. It works with both essential and fragrance oils, and really stretches the use of the oils for products! I especially like how it saves me money on the manufacturing end -- this allows me to use more pricey oils but still keep the same price point. I am able to use less oils, but still get the same fragrance concentration. Customers love how they don't have to shake the product as they use it. When I was new to all this, I couldn't figure out why my shower gels and bubble baths (both clear bases) turned cloudy when adding fragrance oils. Actually, I thought that was just how it was supposed to be. Then I discovered this magic potion! Just mix with fragrance oils, wait a bit, add your base and voila- a clear bubble bath, body spray, etc. Love this product! 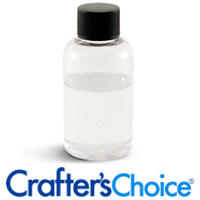 Crafter's Choice Response: The fragrance oil modifier is a solubilizer that allows fragrance oils to mix with water. It should not be need in our shower gel as the shower gel has been formulated to work with fragrance oils. I couldn't go with out this product. It is essential in my business. I use it in my body spray and air/linen spray. This does work well No strong odor after it sits. Worked great! No separation when used in spray perfume formula! No clouding, or discoloration! Very easy to use. I watched the video on how to mix and tried the product with my FOs. I found that I didn't always have to use as much with the FO as the video suggested and as long as I mixed it well, the finished product still turned out perfect. I also placed my liquid color in this mixture before mixing with the Luxury Moisturizing Mist II - Modified if I was not using for linen spray. Every time it was clear and color was good. I highly recommend this modifier. Used this in a batch of liquid soap at 4 to 1, modifier to fragrance. The soap turned out crystal clear - try it yourself and you'll see! Excellent product! You've converted a long time PS20 gal into your brand of FO & EO Modifier user. Thanks for that Crafter's Choice. I really like this stuff! This product will turn your bath/shower gels crystal clear. Also helps when roll-on cologne base and certain fragrance oils have trouble mixing. My customers love te linen sprays I have made with this and it is so nice to have a matching product to go with the candles and sachets. Crystal Clear A+ all the way! Great stuff. Easy Easy Easy to use! Used in my linen/room sprays and love it. WOW! Used in linen spray--it is fabulous. Fragrance incorporates easily and fully. (Don't know about clouding as I used silver opaque bottles.) Excellent product. This is a great product since it is so hard to find water based fragrances. It works wonderfully. I love this stuff. Makes crystal clear linen sprays. This is a great product. Makes my perfume sprays super clear!